I'm actually writing this before I leave on my vacation. 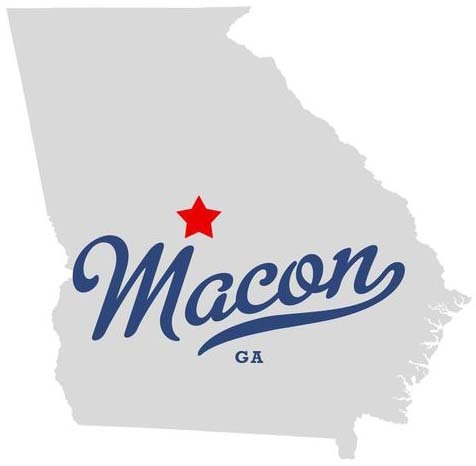 If all went as planned, I'm now in Macon, in the heart of Georgia. I have a mental list of places that I want to see someday and on that list is the Allman Brothers Museum at the Big House, here in Macon. I learned that one of my favorite bands was going to be playing on the lawn, on a weekend, and it seemed like the ideal little trip for a couple of days. To top it off, I had a credit with the airline that was soon going to expire, so I booked my flight and here I am. The plan for the day is to see Delta Moon tonight. I've got my ticket, as well as a ticket to tour the museum. I would also like to see the statue of Otis Redding, learn a bit about the Civil War history of the area, eat some genuine southern cooking (what is a collard green, anyway?? ), visit Creative Yarns, and more if there is time. I suppose it's hoping for too much to meet Little Richard - Good Golly Miss Molly!! Otis Redding one of my favorites! I saw him perform at the Monterey Pop Festival waayyyy back..... Have a great time.